Hold on a minute, I thought I was the author here? As I see it, there are quite a number of problems with being an author these days. Firstly, there’s the rather unfortunate issue of it not paying very much. Sure, there’s the joy of holding one’s own book in one’s tear-stained hands and the thrill of seeing your cover for the first time, but those feelings of euphoria soon lose their sparkle as you hunch, zombie-like, over a splotch of fresh road kill because you can neither afford to shop in, nor even drive to, an actual grocery store. Secondly, consider the rather herculean-like challenge faced by authors when their latest book is unpacked into a large bookstore. After all, their shiny new novel only has to compete against, say, 11.3 million other books. For that novel to stand out, one would have to staple a Rottweiler to its cover which, when you think about it, is likely to end badly for all concerned. This, plainly, is nothing compared to the challenge of trying to make your book stand out on, say, Amazon. This is rather like trying to find a certain green leaf in the rainforest of the same name. To put the issue into perspective, consider the choices available to you when you visit your local cinema. On average, there are probably in the neighbourhood of eight or ten films running at any one time. Two are animated features. Three involve Adam Sandler. One is about a group of drugged-out folk singers who meditate around a bowl of jelly while smoking each other’s hair. This leaves you with two or three legitimate choices. I like those odds. My head can make sense of those odds. 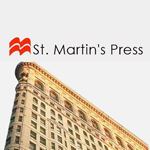 What I can’t fathom is how some random reader is supposed to waltz into a cavernous bookstore – where not only are the world’s current best novels on sale, but so are several thousand back titles – and somehow emerge with your book. It’s a little like playing football against the best players in the world … both past and present … at the same time … on the same field … all at once … by yourself. Forget, for a moment, what the odds might be of the prospective buyer’s eye even landing on your book for the merest of moments. Even if by some miracle this happens, the person still has to decide whether or not your jacket blurb is more enticing than all the other jacket blurbs in the store. Which doesn’t matter in any event, considering that he’s destined to buy the latest Dan Brown or Wilbur Smith offering anyway. Then, of course, one has to consider reading as a general premise. Gauging by the current literacy levels in our schools it’s conceivable that, in a decade or so, an entire generation of people will communicate in grunts, videos of hamsters water-skiing and unfortunate bursts of word and number acronyms like ‘2GTBF’ (Too good to be forgotten), 4COL (For crying out loud), AWGTHTGTTA (Are we going to have to go through this again) and so on. At this point, to have any chance of connecting with these people, one would have to write novels with titles such as ‘LOL my BFF, Shizel Manizel Peeps Boyaa17!’. The stories themselves would, correspondingly, need to be written in a combination of house music and drunk computer code. Forget also that quote, ‘existing readers’ are turning away from books in their droves and now absorb their daily dose of narrative nutrition through grainy YouTube videos and pirated DVDs from the side of the road (one or both of which are bound to feature water-skiing hamsters at some point). But, actually, as challenges facing novelists, these are all whispers to a thunderstorm. The single biggest problem facing an author these days is that … well … people are a good deal more interested in telling their own stories than reading someone else’s. Consider, by way of example, the sheer number of people who self-publish their own ebooks. Then there’s Twitter, Facebook, LinkedIn and a hundred other social media platforms designed to give people, well, a publishing platform. The truth is that most folk don’t really care what their Friends or Followers have to say. They are, in fact, obsessed with posting their own content (mainly photos of themselves and hamster videos) and then watching to see what sort of reaction they get. In short, the world is rapidly becoming a marauding army of narcissists who couldn’t give a flying monkey about the poor writers sobbing into their road kill. To drive home the point, one of my friends was recently rather angry with me. After much prodding and pleading, it emerged that she was annoyed by the fact that I hadn’t ‘Liked’ a particular Facebook post of hers. Of course, I threw myself at her feet and promised to Like and Favourite everything she ever posts until the very end of time. I even offered to poke her regularly, but that seemed a trifle over the top. In short then, the world is being overrun by … well … authors. Which brings me to my point. These self-obsessed, conceited and egotistical megalomaniacs need to stop what they’re doing. Because we were here first. And the land is ours. Gareth Crocker’s debut novel, Finding Jack, was published in New York to international acclaim. It was translated into several languages and featured in eight volumes of Reader’s Digest Select Editions with combined sales of more than a million copies. 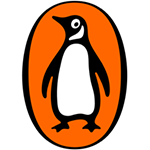 In 2012 Penguin Books published his adventure novel, Journey from Darkness, followed by the kidnap thriller, Never Let Go, in 2013. Both Finding Jack and Never Let Go are currently being considered for films in Los Angeles. 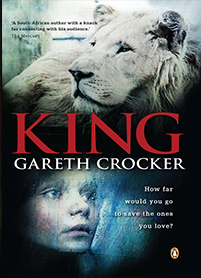 Gareth’s latest novel, King, has just been released. If you have 19 hours to burn, you may eventually find it in a bookstore.